What can FOCUS do for you? 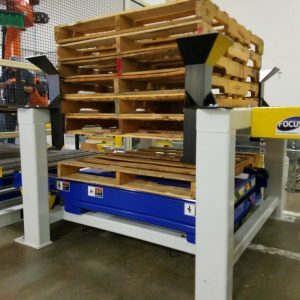 At FOCUS Integration, we provide solutions for your end of line automation, specializing in robotic palletizing. 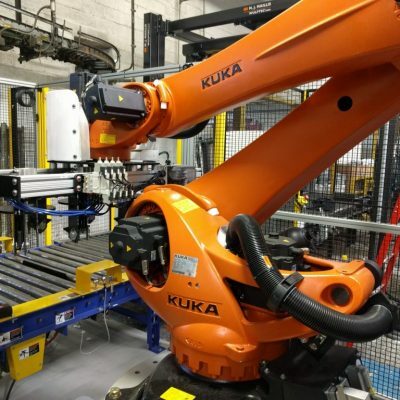 Our CARBON palletizing cells have changed the way robotics integrates with your existing equipment by using pre-engineered modules that allow for quicker installation and commissioning times (measured in hours), while allowing for future expansion. The new CUBE line of palletizers has taken the concept even further, offering complete turn-key solutions in a very compact footprint. See what we at FOCUS can do for you to maximize the output of your production line. Using the latest parametric design software and techniques, we help design solutions the work the first time. We can work with you to design the mechanical, electrical, and layout elements to help your production reach new heights. Need service or repair? we’ve got you covered. We know you’re equipment runs 24/7, and so do we. Open a support ticket to get a quick resolution to your issue.